The internationally acclaimed, pioneering Octopus Card has been an integral part of Hong Kong life since 1997. The contactless smart card was developed to allow commuters to travel on multiple forms of public transport using a single card and without the inconvenience of finding exact cash for single journeys. It makes using Hong Kong’s impressive public transport system simple and convenient and is a “must” for most visitors to Hong Kong. Octopus services have since been expanded and the card can also be used at over 13,000 retail outlets and 5,800 service providers including fast food outlets, bakeries and cake shops, convenience stores, supermarkets, household and personal care stores, boutiques, photo finishing services, telecommunications shops, vending machines, self service kiosks, photocopiers, photo booths, cinemas, telephone kiosks, parking machines, educational campuses and recreational facilities as well as for access control in residential and commercial buildings. Octopus Card transaction records have also been used as evidence in obtaining convictions for crime. It is the world’s most used smart card system with over 14.5 million transactions a day worth over HK$193.6 million. At the end of 2017 there were 34.4 million Octopus Cards or products with Octopus functions in circulation. 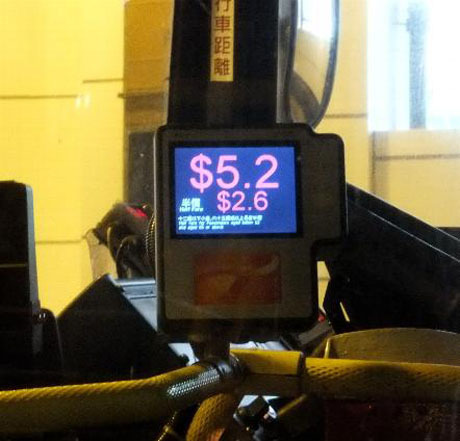 Originally conceived an electronic fare collection system for the MTR (Mass Transit Railway) it can now be used on virtually all forms of public transport, including MTR trains, Airport Express, buses, green minibus, outlying island ferries, Star Ferry and other ferries, Peak Tram and Hong Kong Island trams. Also in January 2010 it was announced that the company had teamed up with mainland company Digital China Holdings to run a joint venture to develop and operate "Citizen Cards" in mainland China. Digital China Octopus Information Technology Systems will bid for provincial and municipal government contracts to supply and operate cards for services such as social security, medical and healthcare, cultural, educational and birth planning, as well as residential property management and utility bill payments. 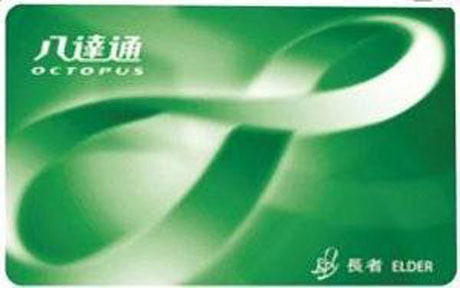 In August 2011 Octopus Cards Limited signed an agreement with another smart card company Guandong Lingnan Pass Company to introduce a "two in one" smart card, the "OCTOPUS LINGNAN PASS" which enables travel and purchases in Hong Kong and sixteen Guangdong cities including Guangzhou, Foshan, Jiangmen, Zhaoqing, Shanwei, Huizhou, Maoming, Zhuhai, Jieyang, Heyuan, Yunfu, Shaoguan, Yangjiang, Zhanjiang, Zhongshan and Qingyuan. The card has separate "electronic purses" enabling yuan payments in Guangdong and Hong Kong dollar payments in Hong Kong and was launched on 3rd July 2012. By early September 2012, about 10,000 Octopus Lingnan Passes had been sold in Hong Kong. In August 2012, Octopus Cards introduced an "OctoCheck" app for Android mobile devices which allows smartphone users to check their Octopus transaction records by holding their Octopus Cards close to the back of their mobile phone after registering the last five digits of the Octopus Card number. The app is available only for NFC-enabled smartphones and can be dowloaded from the Google Play Store, free of charge, for smartphones such as Google Nexus S, Samsung Galaxy, HTC One and Sony Ericsson Xperia. In March 2013 announced that later in the year it plans to introduce a SIM card for near-field technology smartphones such as Sony Xperia and Samsung's S3 and S4, which would enable a phone to act as an Octopus Card and also enable settlement for online purchases by Octopus Card. 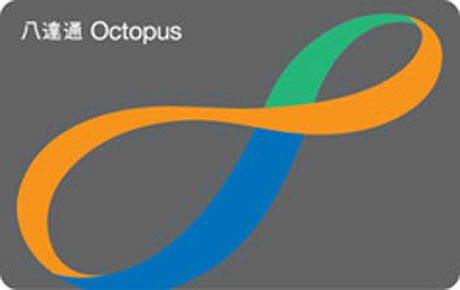 In October 2013 Octopus Cards Ltd announced it was launching an Octopus mobile SIM pilot scheme in conjunction with Sony and PCCW. New customers of PCCW purchasing Sony handsets with Near Field Communication (NFC) will be able to use the Octopus Mobile Payment Service by simply holding the phone over an Octopus reader to make purchases. Only 5,000 handsets are available during the pilot and functions of the standard Adult Octopus Card will be available but concessions such as those provided by the Child or Elder Octopus are not be available. Full market launch will take place when satisfactory has been achieved. Since February 2014, Octopus Card holders can use the card to pay for goods on Alibaba’s online shopping website, Taobao by downloading an Android app and registering their Octopus Cards. There is a daily maximum limit of HK$1000 and a 1.5% service fee. Initially, the app can only be used on Android smartphones with near-field communication function. Octopus Cards has announced that it is to introduce a cash-transfer app in the second quarter of 2014 which will allow registered users to transfer up to HK$1000 per day to friends or relatives. The HK$1000 maximum value which can be held on Octopus Card is the Hong Kong Monetary Authority's current daily limit for stored-value and retail-payment systems but the limit is to be increased to HK$3000 with effect from November 2016, subject to technical problems and consumer protection issued being resolved. In April 2016 Octopus Holdings announced that it is to launch an app enabling peer-to-peer payment through Octopus Cards for customers holding a deposit account with Standard Chartered Bank. The O! ePay App, available for Android and iOS users will allow instant transfer of funds between users of Standard Chartered debit or credit cards who have opened an O! ePay account. The maximum stored value limit for O! 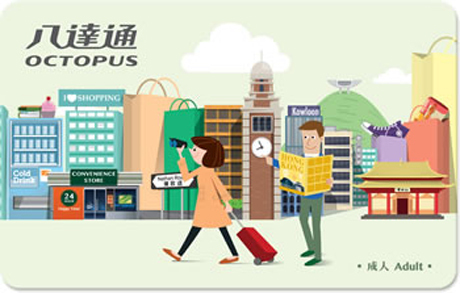 ePay is HK$3,000 and all payment transactions and fund transfers to and from Octopus Cards are subject to a transaction limit of HK$3,000 over 2 consecutive days as a consumer protection measure. In August 2016 Octopus Cards launched an app for Apple devices after Apple Pay went live in Hong Kong. Users need to download the Octopus app and purchase an Octopus card reader for HK$228 to pair the card reader via Bluetooth to an iPhone, iPad or Apple Watch. In October 2017 Octopus Cards Limited announced that all First Generation On-Loan Octopus Cards will become invalid by 2019. A replacement programme for replacement of 2 million cards, first issued in 1997, was initiated on a voluntary basis in August 2015 but some 1.2 million cards had not been replaced by the time the final call for replacement was made. Replacement will be phased in batches and cards in each batch will receive a three beep sound when using the card as a prompt to replace the card. The prompt is in effect for three months, with the first batch of cards receiving prompts from 18th October 2017 and needing to be replaced by 20th January 2018. Replacement is free and cards can be replaced at self-service Octopus Service Points, MTR Customer Service Centres and designated Kowloon Motor Bus Customer Service Centres. To encourage card holders to use self-service Octopus Service Points a new design On-Loan Octopus Card featuring the new corporate logo is available exclusively from these service points. On 6th September 2018 two MTR Ticket and Octopus Selling Machines were introduced at Airport Station enabling customers to pay for Airport Express tickets and Octopus Cards with credit cards and mobile payment devices. 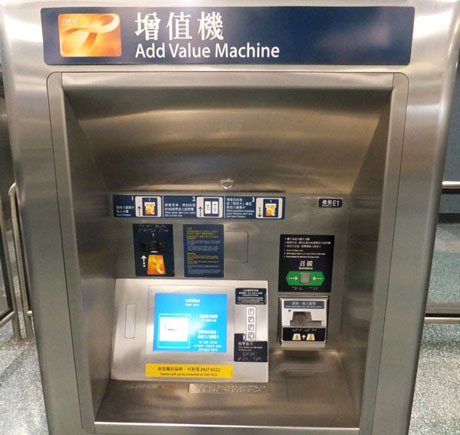 The initial stored value for Octopus Cards obtained from these machines differs from Octopus Cards obtained "over the counter" at MTR Customer Service Centres. Four Octopus Selling Machines have also been installed at the arrivals level of Hong Kong West Kowloon Station which opened on 23rd September 2018. These`machines accept payment by Visa, Mastercard, UnionPay, JCB, Alipay and WeChat Pay. 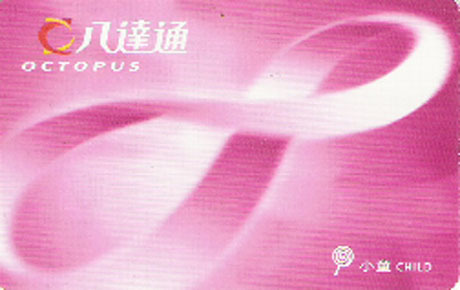 First Generation On-Loan Octopus Cards were designed and manufactured before the establishment of Near Field Communication (NFC) standards and do not have the same functions such as compatibility with smartphone apps or level of security as later editions. From 14th December 2017 Octopus Cards, together with Samsung, began offering tap and pay smartphone functions on some Samsung phones with "Smart Octopus" through the Samsung Pay wallet app allowing locals to use their phones in place of Octopus Card to pay for public transport, small purchases at retail outlets and for entry and exit to residential estates controlled by Octopus function. Users need to link the card with the phone through the Samsung Pay app using the phone's NFC function after which the card will be deactivated and no longer usable, with the stored value and reward points being held in the wallet. However, there is a minimum add-value of HK$300 and 2.5% service charge when using "Smart Octopus". The service is initially available with Samsung Note 8, S8 and S8+ models. 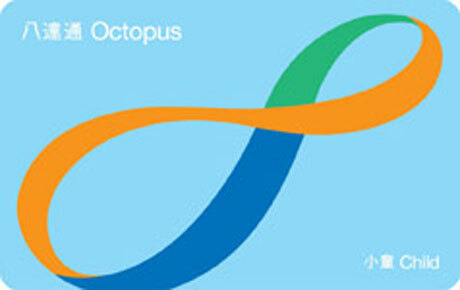 On- Loan Octopus Card is usually the type of Octopus Card most suitable for visitors and tourists. No form of registration or any personal information is required to purchase an On-Loan Octopus Card (except Personalised Octopus Cards which are not suitable for most visitors - see "Personalised Octopus Card" below). Octopus Cards can be bought "over the counter" at any of the locations detailed below under "Where to Purchase the Card". Payment must be made by cash (credit/debit cards not accepted). ADULT - Price HK$150 representing a deposit* of HK$50 and an initial stored value of HK$100 except for Octopus Card purchased from MTR Ticket and Octopus Selling Machines (operational from 6th September 2018) at Airport Station and Octopus Selling Machines at Hong Kong West Kowloon Station where the price is HK$200 representing a deposit of HK$50 and an initial stored value of HK$150. CHILD (ELIGIBILITY FOR CONCESSIONS AGE 3-11, see note* below) - Price HK$70 representing a deposit* of HK$50 and an initial stored value of HK$20 except for Octopus Card purchased from MTR Ticket and Octopus Selling Machines (operational from 6th September 2018) at Airport Station and Octopus Selling Machines at Hong Kong West Kowloon Station (operational from 23rd September 2018) where the price is HK$120 representing a deposit of HK$50 and an initial stored value of HK$70. ELDER (AGE FOR CONCESSION ELIGIBILITY VARIES BETWEEN TRANSPORT OPERATORS, see note* below) - Price HK$70 representing a deposit* of HK$50 and an initial stored value of HK$20 except for Octopus Card purchased from MTR Ticket and Octopus Selling Machines at Airport Station (operational from 6th September 2018) and Hong Kong West Kowloon Station (operational from 23rd September 2018) where the price is HK$200 representing a deposit of HK$50 and an initial stored value of HK$150. * NOTE RE CONCESSIONARY FARE ELIGIBILITY - Eligibility criteria in respect of concessionary On-loan Octopus Card (Child and Elder) relates to USE of card, not loan of card. There is no age restriction for loan of the card and no personal identification is required to obtain the card. Child and Elder Octopus Cards are transferable and any concessionary Octopus Card can be used to obtain a concessionary fare for which the user is eligible (ie the card does not have to be the one loaned to the user). Age of eligibility for concessions can vary between transport operators eg the main franchised bus operators allow half-price fare for children up to and including age 11 but children up to age 4 to travel free when accompanied by an adult and not occupying a seat. MTR allows children up to and including age 2 to travel free and half-price fare for children 3-11. Uniformed staff of transport operators have the right to require passengers using concessionary cards to produce ID with proof of age if requested. Foreign disabled persons, under 65 are not able to enjoy the concessions of the "Public Transport Fare Concession Scheme for the Elderly and Eligible Persons with Disabilities". Without Elder Octopus Card, foreign elderly visitors can still obtain concessionary fares either by purchasing single-journey tickets for MTR journeys or paying in cash, or where applicable, buying tickets for bus and ferry journeys. However, the transport operators own concessionary fare is usually limited to 50% of normal adult fare. For more further regarding concessionary fares for elderly foreign visitors, and details of concessionary fares, by operator, see SENIOR VISITOR CONCESSIONS. The Sold Tourist Octopus features the same functions as the Standard On-Loan Adult Octopus but carries no deposit and has no initial stored value when purchased*. In addition to public transport it can be used at numerous retail outlets and dining establishments and for admission to certain venues and tourist attractions. The card can be purchased at 7- Eleven, Circle K and VanGo convenience stores in Hong Kong, China Travel Service (HK) Ltd (CTS) and online at Ctrip. Value can be added to the card and the card reloaded from Authorised Add Value Service Providers, which include MTR / Airport Express Customer Service Centres, convenience stores and other retail outlets, up to a maximum of HK$1000 (expected to increase to HK$3000 in November 2016). The card can be returned for cancellation and any outstanding stored value is refunded. Once cancelled the card is permanently disabled and cannot be reused. **REFUND OF DEPOSIT FOR ON-LOAN OCTOPUS CARD- the deposit (less any use of NEGATIVE VALUE**) plus any remaining unused value is refundable at any time by handing in the card at the Customer Service Centre at any MTR Station or ticket office. Visitors leaving Hong Kong by air can hand the card in and obtain a refund at the Airport Express Customer Service Counters in the Arrival Hall at Terminal 1 and on the Airport Express Arrival Platform at Terminal 2 of Hong Kong International Airport. There is a small administration charge of HK$9 which is deducted from the balance in respect of cards issued prior to 1st April 2019 which are returned within three months of date of issue or HK$11 in respect of cards issued from 1st April 2019. CONVENIENCE LIMIT (NEGATIVE VALUE) – In respect of On-Loan Octopus Cards issued before 30th September 2017, if the balance on the card is positive (HK$1 or above) but insufficient to cover the cost of the next transaction the card can incur a negative value of up to HK$35 which is recovered the next time the card is reloaded. The card cannot be used for any further transaction once a negative balance has accumulated until the card has been reloaded. In respect of all new On-Loan Octopus Cards issued on or after 1st October 2017 the convenience limit is increased to HK$50. The card can be purchased on arrival at Hong Kong International Airport at several MTR Airport Express Customer Service Counters in the buffer halls (between customs and the arrival hall), in the arrival hall and on the airport station departure platform. Note - visitors intending to use Octopus Card to travel on the Airport Express from the airport to Tsing Yi, Kowloon or Hong Kong Station can board the Airport Express train without Octopus Card or ticket (there are no platform barriers at the airport station) and purchase Octopus Card or ticket at the Airport Express Customer Service Centre on the arrival platform, before the platform exit barriers, at the destination station. Since 6th September 2018 Octopus Cards can also be purchased at MTR Ticket and Octopus Selling Machines at Hong Kong International Airport at the arrival hall exits to Airport Station where payment can be made by credit card and mobile payment devices. Four further Octopus Selling Machines have been installed at Hong Kong West Kowloon Station which opened on 23rd September 2018. These`machines accept payment by Visa, Mastercard, UnionPay, JCB, Alipay and WeChat Pay. All MTR stations, including Airport Express stations, but not Racecourse Station. At Hong Kong International Airport Octopus Cards can be obtained at the MTR/Airport Express Customer Service Centres in the Terminal 1 buffer halls and arrival hall in addition to Airport Station. Payment for Octopus Cards must be made in cash except when purchased at MTR Ticket and Octopus Selling Machines at Airport Station (operational from 6th September 2018) which accept credit cards and other mobile payment devices (Credit card payment is accepted for purchase of Airport Express tickets and Airport Express Travel Pass). On-Loan and Sold Octopus Card can be purchased by anybody, since sale is unrestricted. No identification is required for purchase, records of purchasers are not kept and cards can be transferred from person to person. However, whilst there is no restriction on purchase, in respect of Child and Elder Octopus Cards which offer concessionary fares, transport operators rely on their own conditions of use which make it an offence to use Octopus Card to obtain a concessionary fare to which the user is not entitled. Child and Elder Octopus Cards have features built-in which enable transport operators to identify when a concessionary Octopus Card is being used and can request ID and proof of age if it is suspected a person is using an Octopus Card to illegally obtain a concessionary fare. In the event of misuse, offenders face a financial penalty and confiscation of the card. 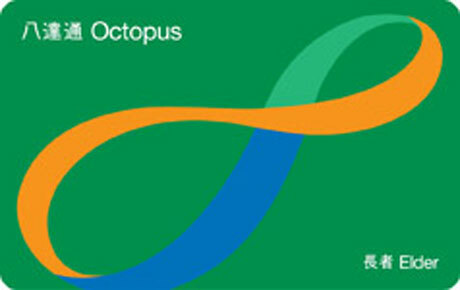 Octopus Cards cannot be shared by more than one person travelling together on public transport. For example a card cannot be used to open entry barriers and then immediately be passed back for another person to open the barriers with the same card since a time delay programmed into the card prevents the card being used at the same entry barriers within a period of time which varies between transport operator. 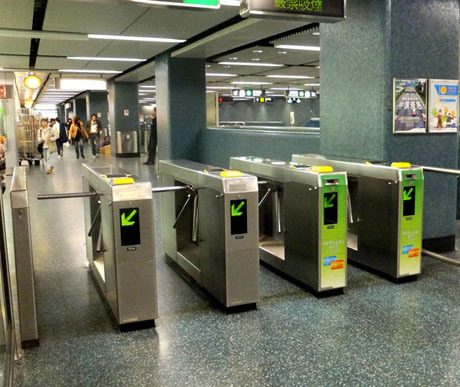 At MTR station entry barriers the same Octopus Card cannot be used at the same entry barriers within a period of ten minutes. This is a precautionary measure to prevent accidental multiple charging for the same transaction as Octopus is a contactless card which only needs to be "waved" over the card reader. A separate card should therefore be purchased for each person wishing to use Octopus Card method of payment. The plastic card is credit card size and has a Sony FeliCa Radio Frequency Identification Chip (RFID) embedded into it. The technology is “contactless” so the card simply needs to be “waved” over the card reading machine. The card can be read by the machine from a distance of between 3cm and 10cm and it is common for users to leave the card in their bag and pass the bag over the reader. At rail stations and ferry piers the card reader is located at the entrance/exit barriers and on buses just inside the entrance next to the driver. At retail outlets such as convenience stores the machine will be on the counter or at the checkout. Each time the card is used the remaining balance is shown on the card reading machine. To operate the turnstile "wave" or touch the Octopus Card on the Octopus pad on the right (the red slot is for single-journey tickets). On exit from the destination station there are exit barriers and the Octopus Card is "waved" or touched on the pad at the barriers in a similar way and appropriate fare deducted. In the event of a malfunctioning card it can be returned to any MTR Customer Service Centre or ticket office for investigation. A refund of the deposit and outstanding credit balance can be obtained from between 5 to 60 working days from the date the malfunctioning card is returned. The Octopus Card is deactivated if it has not had value added to it (ie "top-up") for a period of 1000 days or more. In respect of all On-Loan Octopus Cards issued before 1st October 2017 the card can be reactivated at any MTR station Customer Service Centre free of charge. In respect of On-Loan Adult Octopus Cards (but not Child or Elder Octopus) issued on or after 1st October 2017 a fee of HK$15 will be deducted from any card which has not had any add-value or payment transaction for three years and annually thereafter if it remains inactive. * the maximum amount which can be stored on Octopus Card for users with Octopus O! ePay Service account is increased to HK$3000 from 13th November 2016. With effect from 7th December 2015 a Top Up with Change service has been introduced at all 759 Store retail outlets in Hong Kong. Customers paying for purchases with cash can top up their Octopus Card with the change by placing the card over the Octopus reader and requesting the top up with change. 759 Store had 270 retail outlets in Hong Kong at commencement of the service. Passengers using Octopus Card to travel on the Airport Express can enjoy free travel to or from an Airport Express station to or from anywhere else on the MTR network (including the border stations Lo Wu and Lok Ma Chau) provided all connections are made within one hour of each other. 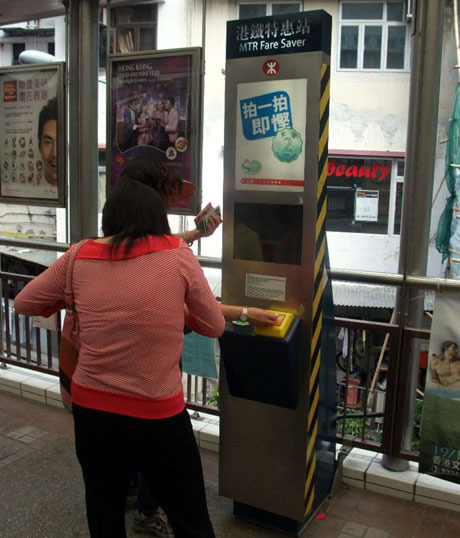 MTR Fare Saver machines are intended to reward people who choose to walk to certain designated MTR stations rather than take buses or taxis. They are strategically located a few hundred metres from the nearest MTR station and allow Adult Octopus Card holders a discount of HK$2 or HK$1* on their next journey from the designated station provided the journey is made on the same day. Simply "swipe" the Octopus Card over the reader to take advantage of this discount. * from 1st July 2016, all of the current 32 MTR Fare Saver machines will offer HK$2 discount as part of MTR's 2016 fares promotion programme. This is a tourist version of the Octopus Card, only available for visitors spending 14 days or less in Hong Kong, pre-programmmed to provide either one or two Airport Express journeys and three days** of unlimited MTR rides. Includes a HK$50 deposit and provides one trip on the Airport Express* and three days** unlimited travel on all MTR lines but not to the border stations Lo Wu and Lok Ma Chau. The pass also includes three days unlimited travel on MTR Light Rail and MTR bus. Provides two trips on the Airport Express*and three days** unlimited travel on MTR all lines but not to the border stations of Lo Wu and Lok Ma Chau. The pass also includes three days unlimited travel on MTR Light Rail and MTR Bus. ** The three days of unlimited MTR travel commences at the time of the first MTR (not Airport Express) journey and lasts for a period of 72 hours plus any additional hours to close of service on the final day. Unlimited travel includes all MTR lines but excludes the mainland border stations of Lo Wu and Lok Ma Chau. The pass also includes travel on MTR Light Rail and MTR bus. The initial purchase price of the card provides for travel on Airport Express, MTR, MTR Light Rail and MTR Bus only and not other forms of public transport such as franchised bus, tram, Peak Tram and ferry. However, at any time after purchase the card can be “topped up” in the same way as the standard Octopus Card and will then function as a "normal" Octopus Card. Once "topped -up" the card can be used on all other forms of public transport which accept Octopus Card in addition to MTR and Airport Express. A refund of the deposit can be obtained by the same method as for the standard “On-loan” Octopus Card (see above). Octopus Cards Limited and Guangdong Lingnan Pass Company Limited have jointly announced the launch of their first joint cross-border cards. 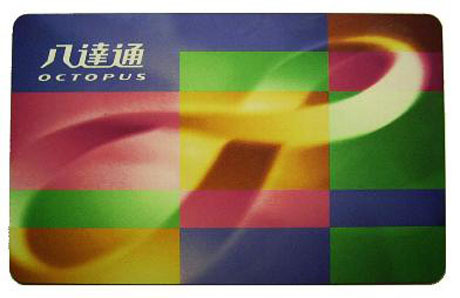 Since 18th July 2012, the Sold Adult "Octopus ‧Lingnan Pass" cards has been available for sale at all MTR and Light Rail Customer Service Centres (except Airport Express, Racecourse and Disneyland Resort stations) throughout Hong Kong The Sold Adult "Octopus ‧Lingnan Pass" and the "Lingnan Pass ‧Octopus" cost HK$98 and RMB80 each respectively. The "Octopus ‧Lingnan Pass" will run on a dual electronic purse model, being the Octopus Hong Kong Dollars (HKD) e-purse and the other Lingnan Pass Renminbi (RMB) e-purse. Cardholders can use the HKD e-purse in Hong Kong and the RMB e-purse in Guangdong Province. The two-in-one cards are anonymous sold cards, and cardholders can add value to the respective purses at authorised add value service points in Hong Kong and Guangdong Province respectively. From 3rd July 2012, 3,000 sets of commemorative Limited Edition "Octopus ‧Lingnan Pass" cards were distributed for public sale through the Customer Service Centres at 26 designated MTR stations. Each person can purchase up to two sets of the Limited Edition cards on a first-come, first-served basis and while stocks last. The "Octopus ‧Lingnan Pass" Limited Edition cards will be sold at HK$298 per set in Hong Kong, while the "Lingnan Pass ‧Octopus" Limited Edition cards will be sold at RMB238 at Lingnan Pass sales outlets in Guangdong Province. The two-in-one cards can be used on public transport and at all retail outlets that accept Octopus or Lingnan Pass. Currently, Lingnan Pass can be used in sixteen cities in Mainland China including Guangzhou, Foshan, Jiangmen, Zhaoqing, Shanwei, Huizhou, Maoming, Zhuhai, Jieyang, Heyuan, Yunfu, Shaoguan, Yangjiang, Zhanjiang, Zhongshan and Qingyuan. The pass is expected to be expanded to include other cities and retail outlets but does not include Shenzhen. The new card excludes the Octopus concessions currently enjoyed by students, children and the elderly in Hong Kong as well as discounts available to Octopus cardholders such as the MTR's 10-rides-for-one-free-ticket scheme. 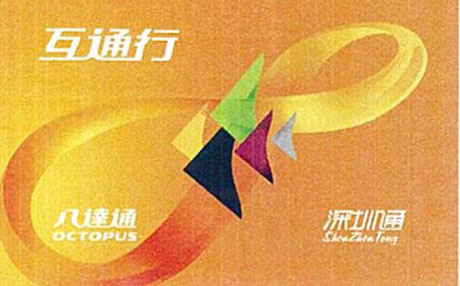 Octopus Cards Limited and Shenzhentong Limited launched a joint Hong Kong and Shenzhen cross-border card on 11th September 2012. The card facilitates travel on public transport and small value purchases at many retail outlets in both cities. The Hong Kong version Hu Tong Xing is available in Sold Adult version for HK$98 in Hong Kong and RMB80 in Shenzhen. The card combines two "electronic purses" in one chip and must be loaded separately with HKD for use in Hong Kong and with RMB for use in Shenzhen. Similarly, adding value to the card can only be made in HKD in Hong Kong and RMB in Shenzhen. The purchase price of the pass includes no useable value and is non-refundable. In Hong Kong the pass can be purchased at all MTR and Light Rail Customer Service Centres (excluding Airport Express, Racecourse and Disneyland stations) and MTR Travel (excluding Admiralty Station). In Shenzhen the pass can be purchased at Shenzhentong Customer Service Centres and sales outlets. A limited edition of 3,800 sets of a commemorative versions of the pass was made available from 4th September 2012, priced at HK$298 in Hong Kong or RMB238 in Shenzhen but had sold out by 6th September.